Uncover and explore film destinations around the Bradford District with the Bradford Film Heritage App, and follow in the footsteps of the stars as you visit the many filming locations from Bradford’s past and present. Want to know where you can see the places of historic importance in Bradford’s film history, as well as where famous films were made? The Bradford Film Heritage App has it all. Bradford was given it’s title as the world’s first UNESCO City of Film because of the city’s rich film heritage, its inspirational movie locations, and its many celebrations of the moving image through the city’s annual film festivals. As a film location since the beginning of cinema, Bradford showed some of the first film screenings outside of London at the People’s Palace, now the National Media Museum. At its height the Bradford District was home to 56 cinemas, and has been host to over 100 TV and film shoots and counting. Using this web app, you can follow in the footsteps of stars such as Tom Courtney, Colin Firth and Julie Walters, as you discover the many film locations that have been used across the Bradford District. You can also uncover the locations of where cinemas and theatres are now, and where they were in the past. From City to Moors, we hope you enjoy your time as your explore Bradford’s film locations. This app was researched, developed and created by the young people at Titus Salt School with the support of industry professionals as part of a Young Roots project. It is with great thanks to the Heritage Lottery Young Roots Fund that enabled this project to happen, and you can find out more about the project here. iPhone 4+: after following the link to the app, click on the share button at the bottom of your screen and tap ‘Add to Home Screen’. Android 4.2+: after following the link to the app, Tap on the Create Bookmark icon. This is the star outline icon to the right of the URL bar. An info box should appear asking you to name the bookmark and where you want it saved. Tap on the drop-down menu and select ‘Add shortcut to Home’. 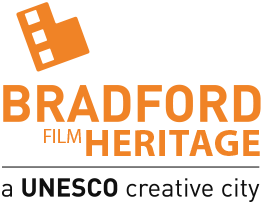 Bradford is the world’s first unesco city of film, and home to some of the earliest pioneers of cinema and the celebrated location of many classic films. This short film will take you to different filming locations, from the backstreets of Bradford, to the beautiful open moors. There is a lot more to Bradford and film than you might think. The film was researched, developed and created by the young people at Titus Salt School with the support of filmmaker Jack Lockhart. Much of the footage you have seen was supplied by Yorkshire Film Archive. This film was made possible by the support and funding from the Heritage Lottery Young Roots Fund. For more information on Bradford’s Film History and Heritage please click here.